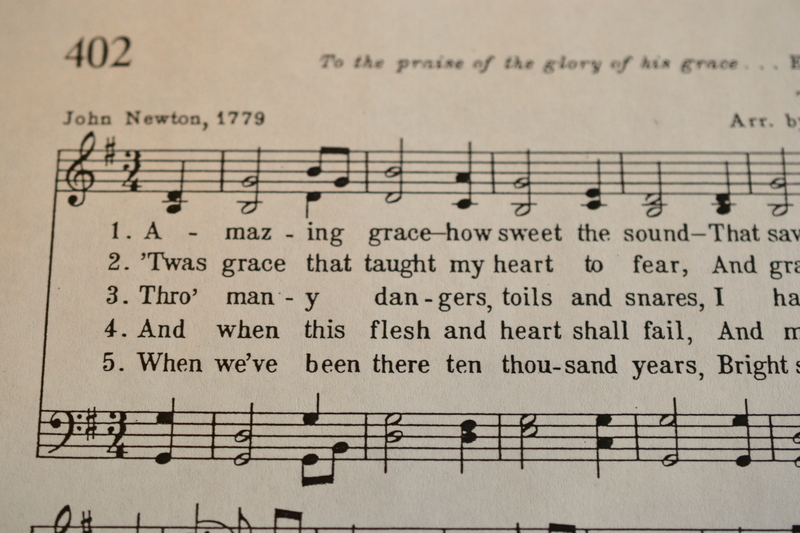 One thing hymns do so well is remind us of our mortality. A lifetime of singing lyrics that regularly refer to death prepares us for that one moment from which we can’t escape. Yesterday I knew that our friend Dean’s life was hanging in the balance. After a long bout with congestive heart failure, he had had a heart attack. His daughter wrote me that the next 24 hours would be vital. As I sung yesterday’s hymns my heart prayed for Dean and for his family. We arrived home late, after a long day unplugged from technology and plugged into friendships. I checked my messages to find out that Dean had died a few hours before. Sitting on my desk is a sticky note reminding me to send a card. It says “Dean – Even down to old age.” Today he is in glory — doesn’t need encouragement. My sovereign, eternal, unchangeable love. This entry was posted in Change, Death, Musings and tagged amazing grace, death, fountain, hymns, mortality, newton, prepare, reminder by alivingpencil. Bookmark the permalink. Thanks, jep. Hymns are a HUGE comfort. I think music can get deep into the cracks of our inner being and do some real healing. Have you heard/seen IlDivo singing Amazing Grace?… My husband used part of their rendition when he preached about God’s grace which is truly amazing. At my darling Mummas funeral June last year, we sang part of Great is Thy faithfulness & It Is Well With my Soul, mother’s “special” hymns. We knew she was indeed “well”. While we were/are in grief these hymns comforted us. Trust you’re resting on the everlasting Arms. Great Is Thy Faithfulness was my mom’s favorite hymn, too. I can’t sing it without thinking of her!